Thank you for visiting our new Internet site. 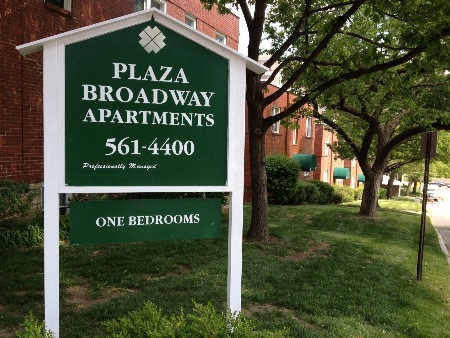 Plaza Broadway Apartments is operated and managed by Lewer Properties, L.P. As an up-to-date business, we want to give you the opportunity to stay in touch with our company and your community. Our new web media and content management system will enable us to always keep you up to date. If you are not familiar with our property and your first contact with us is online, we would be pleased to hear from you! Please let us know what your needs and questions are, and we will be more than happy to help.